Raelene Prieb was on her way home from work this week when she spotted something rather unusual. There, on the snowy roadway in Saskatchewan, Canada, was a portly porcupine who was clearly having some problems. Somehow, the spiky fella had gotten himself all topsy-turvy — and now his little feet were kicking as he struggled to right himself. Prieb was concerned. 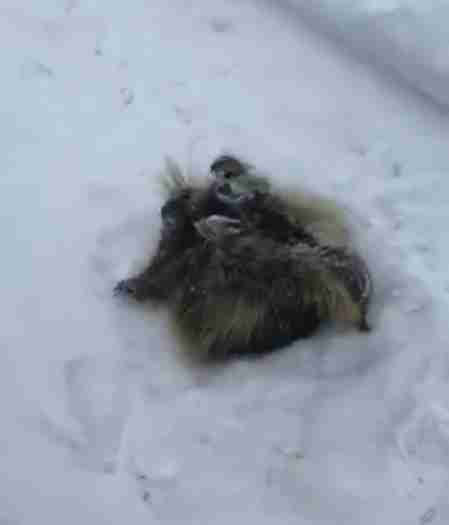 Armed with a snow-brush/ice scraper, Prieb gently assisted the porcupine in flipping back over, offering some reassuring words in the process. Moments later, it became obvious how he'd gotten himself into that predicament in the first place, though Prieb helped him over that problem, too. Here's video she took of the charming rescue. Disaster averted, the porcupine then continued on his way like it was really no big deal. 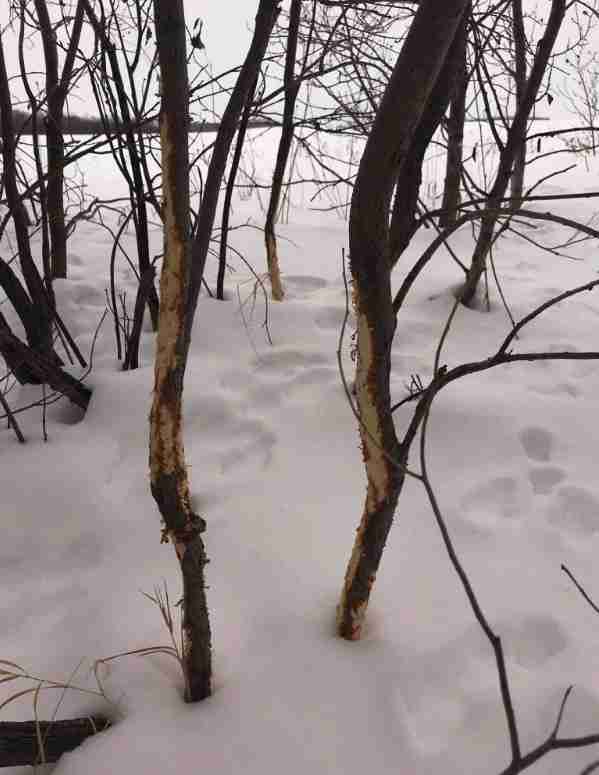 Still, Prieb stopped by the spot the next day just to be sure all was well, finding just footprints and a few trees he'd nibbled the bark off of. One can work up quite an appetite being stuck in the snow. "I’m assuming he moved on across the field to the larger forested area," Prieb said. All in all, Prieb was just glad she was able to lend a hand. "It felt amazing to just experience this creature so close and personal," she said. "And who wouldn’t help him get on his way!"